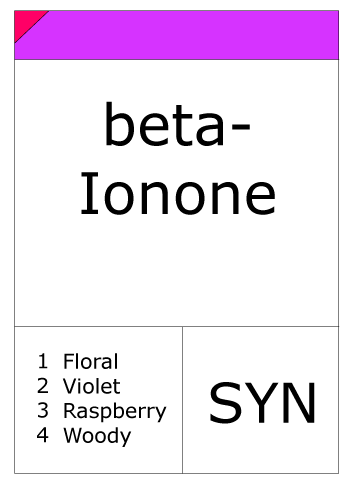 beta-Ionone is a significant contributor to the aroma of roses, despite its relatively low concentration, and is an important fragrance chemical used in perfumery. The ionones are derived from the degradation of carotenoids. Woody, sweet, fruity, berry-iike with a green berry background. Ionone Beta has a particularly intense freesia character. It is useful in the formulation of boronia and indispensable in violet compositions. 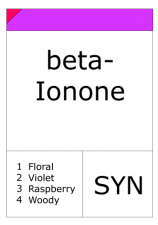 The volume of Ionone Beta is emphasized by a fruity,somewhat raspberry-like background. It has good substantivity and is used in all areas of perfumery.